Either way, we have lots of great deals for you this December. Take care of everyone on your Christmas list and with these savings, you should have some left over to treat yourself! Do you need a little extra plump to help with your mistletoe action? Enter our “Merry Kissmas” contest on Facebook for your chance to win fuller lips! 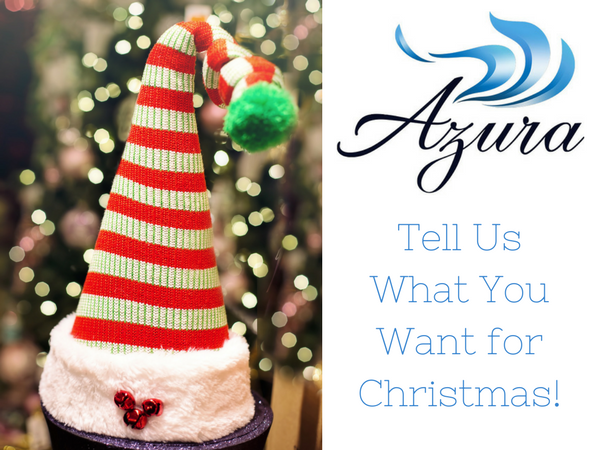 Take an up-close picture of your lips and post it in the comments section in our post on Facebook announcing the Azura Merry Kissmas contest. The picture with the most ‘likes’ by December 18th will be the winner of one FREE syringe of dermal filler to give you the lips that you always wanted… but were not blessed with! Join Us for 12 Chances to Win Our Most Luxe Giveaways of the Year! 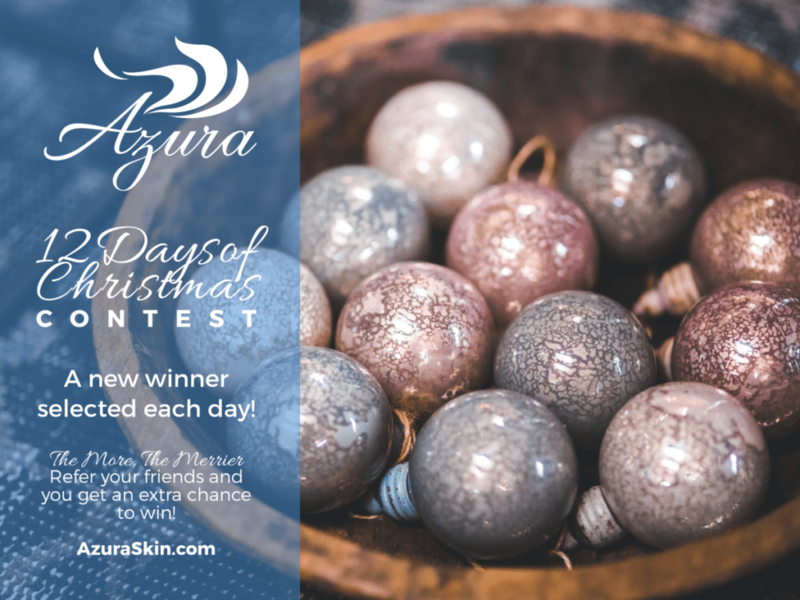 For 12 days in December, we’re drawing a new winner each day to receive the VIP treatment from Azura Skin Care Center and our fabulous skincare partners. From BOTOX® Cosmetic to our signature facials and massages, there’s something here for everyone. The best part of this all? You have 12 chances to win — and one amazing chance to win the whole shebang! Enjoy 50% off All Waxing, Tinting, and Lash Curling Services When You Are Here for Any Other Service! 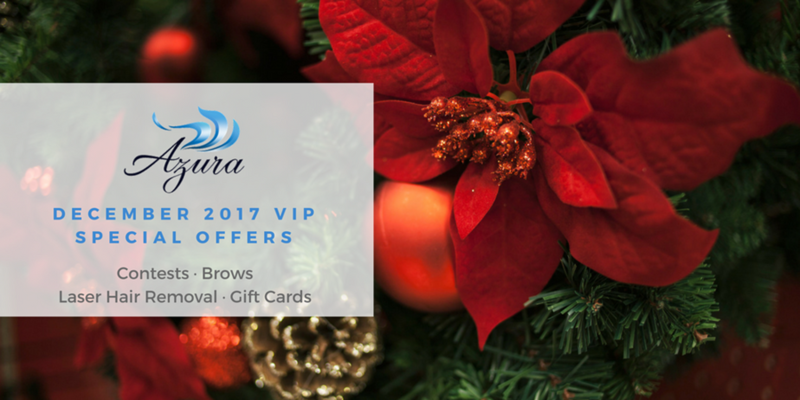 Planning on coming in for a facial, massage, BOTOX, or another service in December? 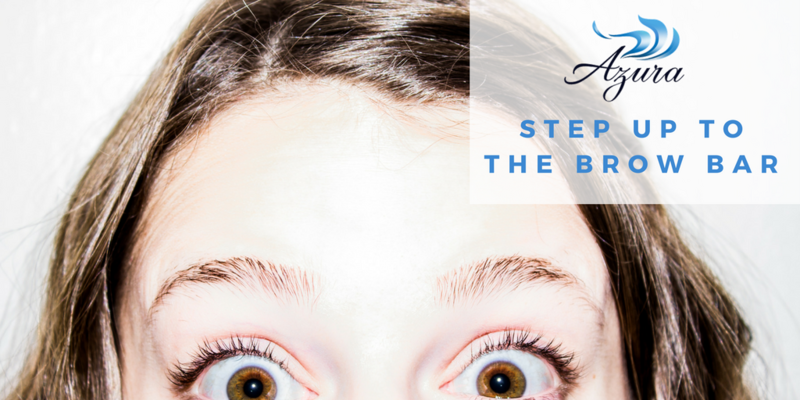 Make sure you stop by the bar… the Brow Bar that is… and enjoy 50% off any of our brow and eyelash services when booked on the same day as any other service. Don’t hide under bulky clothes all winter! Give the gift of not having to shave all year to someone on your list, or yourself. Buy six sessions for any area and get another area for free. Buy the back, get the chest. Buy the Brazilian, get the underarms. You get the point! Still on the fence? Check out Jennie’s “Seven Reasons to Have Laser Hair Removal Treatments” on the Azura blog. What Do You Hope to See Under Your Tree? Our Elves Are Here to Help! 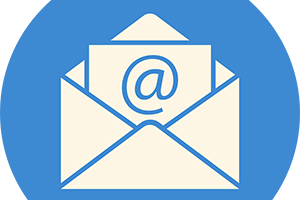 Have a Treatment or Service You’ve Been Wishing For? 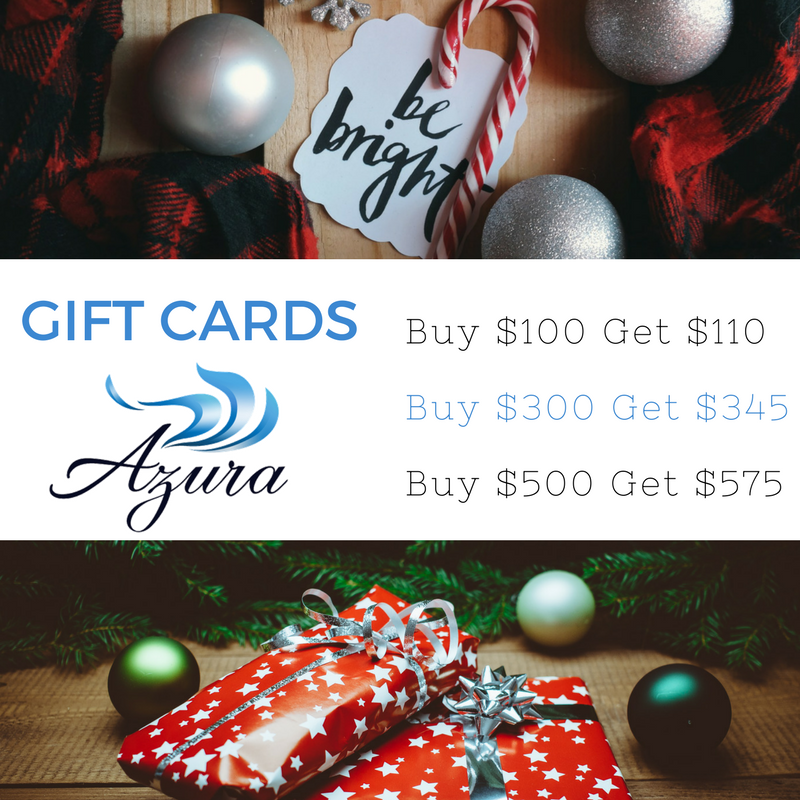 Would You Like an Azura Gift Card? Want to give something to open with each gift card? Enjoy 10% off our products when you purchase a gift card in December. Have you considered breast reduction but have questions? Schedule a free consultation with Dr. Tellis at Azura Skin Care Center in the month of December to see if scarless breast reduction is right for you.